Was there a particular event or time that you recognized that acting was not just a hobby, but that it would be your life and your living? What advice would you give to someone who wanted to have a life in acting? DON’T! lol, just kidding.. .well kinda. Basically acting is an extremely brutal and difficult profession, as are all the performing arts. It requires huge investments of blood, sweat, and tears and you have to deal with rejection 95 % of the time. It needs to be a passion of yours, something that you cannot live without. You have to eat, breathe, and live acting in order to be able to make it. Acting isn’t for the faint hearted. It can be the most rewarding and exciting careers if you decide to take that big leap of faith. What do you hope for people to be thinking when they watch the STRAIN? 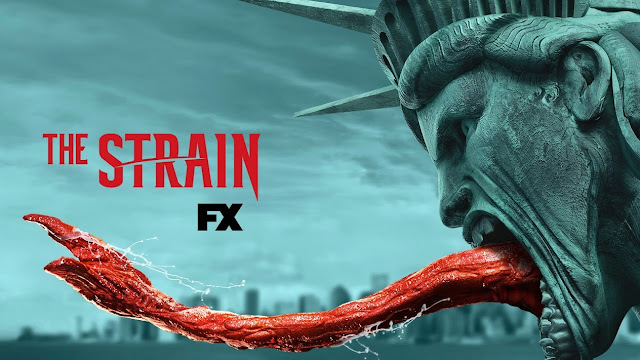 The Strain is an incredibly thrilling alternate view of our world which uses the metaphor of Vampires to talk about many huge and relevant issues in our world today. For example, Sanjay Desai, the character I play, is based on very real people who were collaborators in WWII and assisted the Nazi is setting up Hitler’s new world order even at the cost of their own people. It was a tragic occurrence but one which need not be forgotten lest it happen again. It also has a totalitarian population trying to overrun and over power the current population. all things which have and ARE occurring in our world today. I would hope that Guillermo's fantastic and dark compelling vision of an alternate future will both thrill and provoke the audience into seeing the path things might go if we aren’t all watchful and mindful. We walk a razors edge in today's world. it is easy for us to lose our way. What makes acting great for you? I love telling stories! It’s a reward for me when I can inspire people to think outside their insulated bubble, challenge accepted norms and to think freely. In your television series; THE STRAIN can you tell my Nerd community a little about it? The Strain is Guillermo Del Toros vision of an alternate future on earth where a unique parasite infects humans turning them into a hive of immortal vampires lead by a King vamp called the Master. They have a mission to conquer our world and enslave the human population and make them cattle for the ruling vampire population. What was your most unforgettable moment filming season 4 of the STRAIN? one of the most wild scenes I had to do was in S3 where I presented my boss Eichhorst with the new processing plant I had set up. It was brutal cold and pragmatic scene which showed clearly the huge divide between humans and vampires ( Strigoi) in terms of their perspectives on life and its value. How did you like playing Sanjay? I loved and hated playing him. It was an incredible challenge playing a character that was so opportunistic that he would do anything to move up the Strigoi ladder as a human even betray his own race. It was fascinating figuring out how anyone could live with themselves and find the motivation to do the things Sanjay does. how he rationalizes and justifies his actions. since no villain sees themselves as such the complex excuses he would need to make were part of the fun in creating this character. but at the end of the day especially after the end of S4 it was difficult to shake off all the things Sanjay had to say and do in the season. it started to go home with me. it was a welcome relief to be able to get to the end of S4 even though I loved playing him. Are there actors/actresses that you are excited to work with? For those who are unfamiliar with Sanjay, how would you introduce him? a charming intelligent self serving driven man who could get you to introduce him to your mother but you would never want to do that .. .because he always has his own agenda. Currently shooting S3 of the EXPANSE and just you wait, it is going blow your minds! If you could introduce Sanjay to any character from another movie, who would it be and why? Tell me about your first kiss on screen? Honestly, I can’t remember! It’s been that long! “The Strain,” the highest rated sci-fi television show from 2016, returns to primetime on FX network on Sunday July 16, 2017. In the fourth and final season CAS ANVARbicycles over to "The Strain" from his set of "The Expanse" where he is about to start shooting season 3, to resume the role of antagonist "Sanjay Desai," the right-hand man to Eichhorst (Richard Sammel). 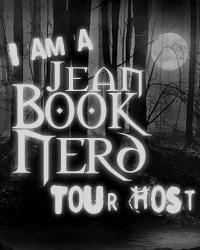 In the series, Cas is a human who brings his formidable business resources to help vampires establish their new world order in the totalitarian regime. 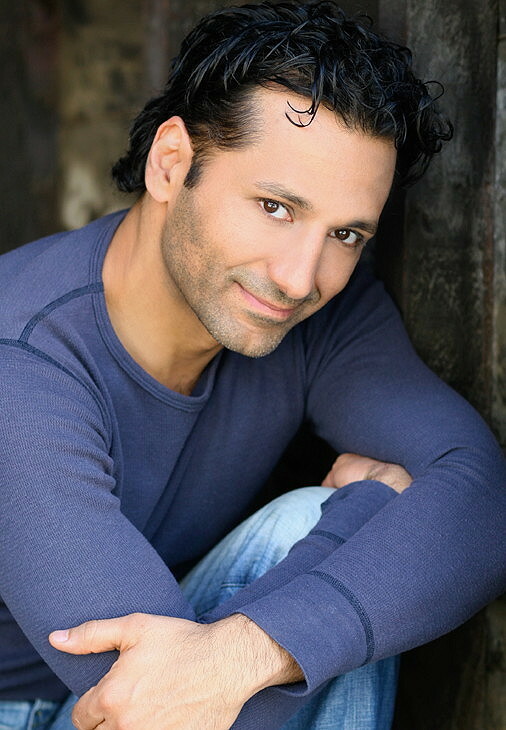 Your readers/audience know and have become loyal to Cas from his SyFy hit, “The Expanse” with the second reason just wrapping this spring on Syfy as well as the legendary 'Assassin Altair' from "Assassins Creed Revelations."